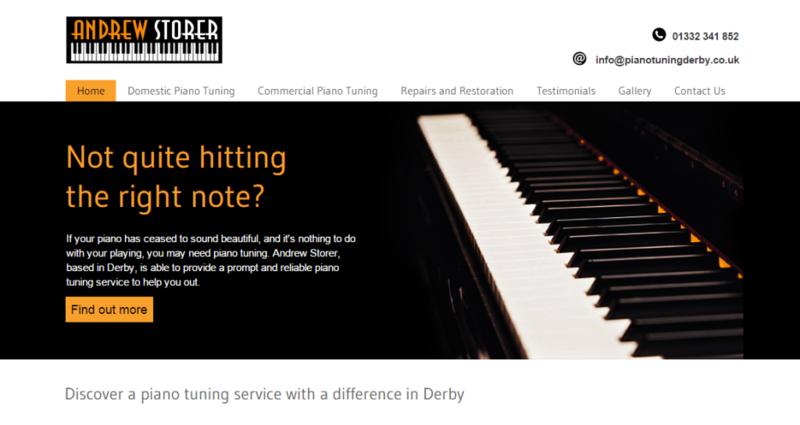 Piano Tuners Derby – Andrew Storer Piano Tuner. So, your faithful Piano just isn’t quite sounding as good as it once did. Have your Piano tuned by the best Piano tuner in Derby. Andrew Storer. Andrew Storer has been a qualified Piano tuner for more than 20 years, during which time he has rightly amassed a loyal clientele in Derby and Derbyshire. Andrew takes great pride in his work, he is meticulous to the nth degree. I am always delighted to recommend Andrew to my clients in the knowledge their Piano will be tuned to perfection. Piano tuning is the act of making minute adjustments to the tensions of the strings of an acoustic piano to properly align the intervals between their tones so that the instrument is in tune. The meaning of the term ‘in tune’, in the context of piano tuning, is not simply a particular fixed set of pitches. 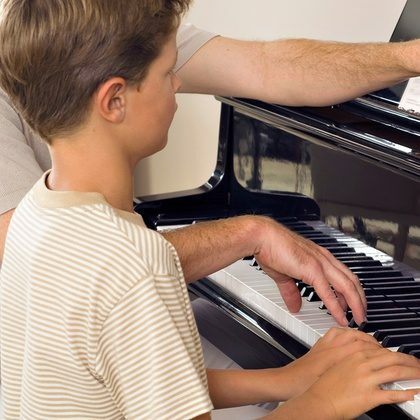 Fine piano tuning requires an assessment of the vibration interaction among notes, which is different for every piano, thus in practice requiring slightly different pitches from any theoretical standard. Pianos are usually tuned to a modified version of the system called equal temperament (see: Piano key frequencies, for the theoretical piano tuning). In all systems of tuning, every pitch may be derived from its relationship to a chosen fixed pitch, which is usually A440, the note A above middle C (261.626 Hz). Piano tuning is done by a wide range of independent piano technicians, piano rebuilders, piano-store technical personnel, and hobbyists. Professional training and certification is available from organizations or guilds, such as the Piano Technicians Guild. Many piano manufacturers recommend that pianos be tuned twice a year. Andrew Storer isn’t only a domestic Piano tuner par-excellence, he also undertakes commercial tuning, Piano restoration. If you’re Piano sounds rather poorly and you’re not sure whether your Piano requires tuning or perhaps it needs restoration; Give Andrew a call for some friendly sound advice. In the meantime… To find out more about my Private Piano Lessons in Derby, – Get in touch for an informal chat.